#CremeEggGate is only tip of the iceberg. 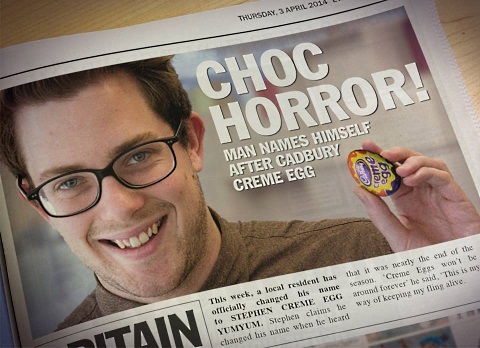 The Sun learned from a Kraft spokesperson that the chocolate egg shell had indeed become something else. Unsurprisingly, UK Twitter users were outraged—the hashtag #CremeEggGate was spawned to to vent displeasure. One thing’s for sure: Creme Eggs are serious business, and evidently not to be fucked with on pain of severe side-eye.